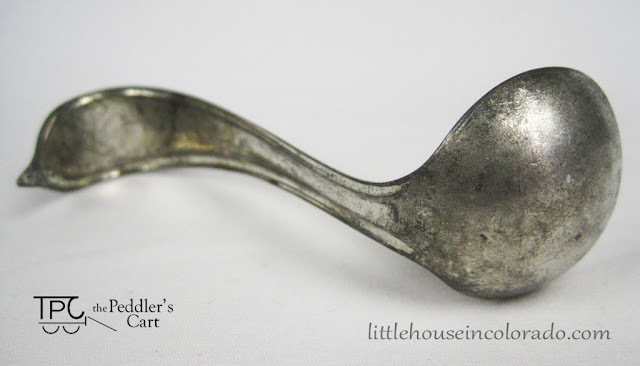 Little House In Colorado: It Looks Like A Spoon, But Is It? It looks like a spoon, but it isn't. It's not really fair for me to only show you the back. Take another look. This tool is commonly mistaken as a spoon used to skim cream off milk. But according to DairyAntiques.com, it is a CreamTop cream separator. It was actually used with Cream Top milk bottles which has a bulb at the top where the cream would collect. The Separator would be placed at the narrow point between the top bulb and the bottom of the bottle allowing for the cream to be poured off. The curved "handled" end of the separator has a point that was used to remove milk caps. 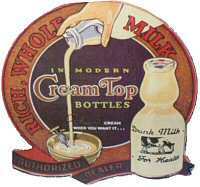 Again, according to DairyAntiques.com, the separators were supplied to licensed dairymen by the Cream Top Bottle Corporation at a cost of 5 cents and were usually given to customers for free. 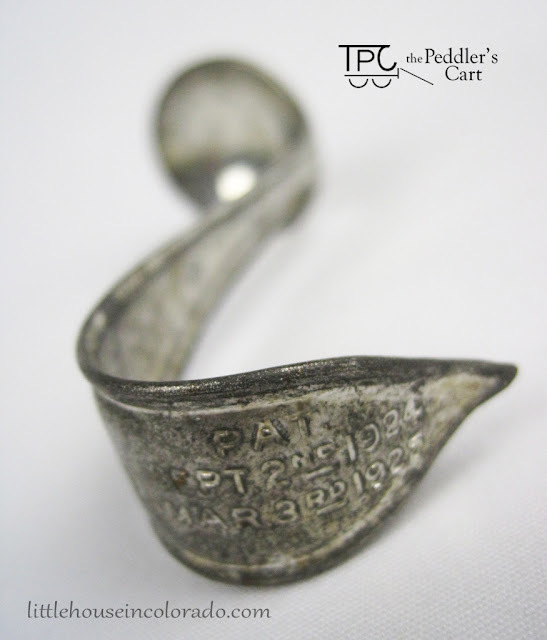 The Cream Top separator is marked with two patent dates on the handle. Mar. 3, 1925 is the patent date of the bottle (Patent # US1528480 A) and Sept. 2, 1924 is the patent date for the separator (Patent # US1506752 A). 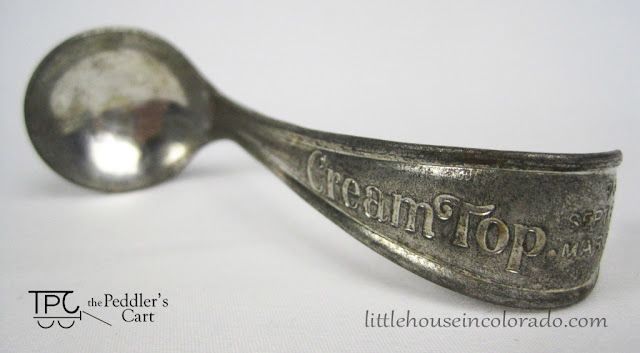 Of course, you probably won't have a need now days for a cream separator (or for a regular supplier of milk delivered to your door in cream separator bottles) but this little reminder of the past can still function perfectly as a unique sugar spoon. It's quite the conversation starter. You can find this CreamTop cream separator available for purchase right now in our Etsy shop.